The Finance Minister Ken Ofori – Atta, has stated that government will not pay customers of gold dealership company, Menzgold their locked up investment. Describing the situation as disturbing, Mr. ofori Atta disclosed that the company has lots of customers from reputable state institutions such as the Ministry of Finance, Bank of Ghana and the military. He said such people invested their monies in Menzgold at their own peril. Speaking at a ceremony to celebrate the 20th anniversary of the Securities and Exchange Commission, SEC, on Wednesday, Mr. Ofori-Atta said the customers of Menzgold were driven by greed since the returns on investment promised by the company was unrealistic. “I think it is not in the place of government to fund or get your money back for you. It was an obvious trap that you went into. Maybe we as an industry should also push the whole issue of education and empowerment so that people do not fall prey to that,” he added. Menzgold was asked to suspend its gold trading operations with the public by the Securities and Exchange Commission (SEC). According to the SEC, Menzgold has been dealing in the purchase and deposit of gold collectibles from the public and issuing contracts with guaranteed returns with clients, without a valid license from the Commission. Despite initial protests, Menzgold complied with the directive. It has however failed to fully pay its numerous aggrieved customers the value on their gold deposits as well as their entire investments. The Securities and Exchange Commission (SEC), has said it will be keeping a close eye on Menzgold Company Limited’s online ventures. Menzgold Ghana is set to launch an online gold store, a buying and selling market platform, known as Menzgold Global Market on Monday. While it remains unclear how the company will be operating online, the SEC said it will intervene if it determines Menzgold is working within its purview. “We have also picked signals in public on the issue about an online business. We are monitoring. As long as it offends our legal or regulatory regime, we will come into play,” the Head of Legal and Enforcement at SEC, Nii Oman Badoo said at a press soirée. This comes not long after the government announced that it had paid substantial amounts owed persons who lost their investments to Diamond Microfinance Limited (DKM), Finance, in what many considered a scam. 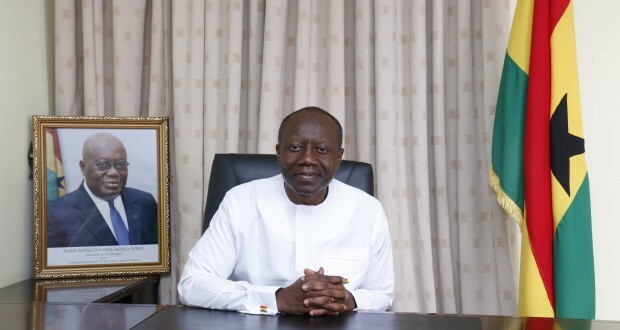 The Finance Minister, Ken Ofori-Atta, who made this known while presenting the 2019 Budget Statement and Economic Policy in Parliament last week, said about 80 percent of funds owed DKM customers had already been settled. “Mr. Speaker, you would recall that DKM Diamond Microfinance Limited had its license revoked in February 2016 with considerable suffering imposed on depositors, without any meaningful response from the previous government. That has significantly changed. The official liquidator received 99,858 claims and the validated claims amounted to GH¢502 million. I would like to inform the country that out of the 99,858 claims, 79,708 (80 percent) have been settled and depositors have been paid,” the Minister said.